Jupiter and Uranus began this Dance in the Sky on June 8th 2010, then again on September 2010 and now finally they will be uniting their resonances at 10 am on the 4th. Jupiter and Uranus together bring about unexpected change – new ways of being - igniting flashes of inspiration and sparks of Light to cleanse, awaken and release us from past restrictions. Occurring as it does at the same time as the Solar Eclipse we can expect change – indeed WE ARE the change!! This Jupiter Uranus triple conjunction which has been on going since June of last year has created a sense of unpredictablity - a feeling of vast potential and yet no clear direction in which to proceed. As Jupiter and Uranus are passing through the latter degrees of Pisces we can all feel as if we are at sea and the waves can create a sense of anticipation, nervousness, or excitement. These last few months have been a training ground for being present, staying in the moment and flowing with what is.... spontaneously learning to adapt and change direction and ideas as the tides swiftly alter. personal desires and actions seem to have been put on hold for a time. 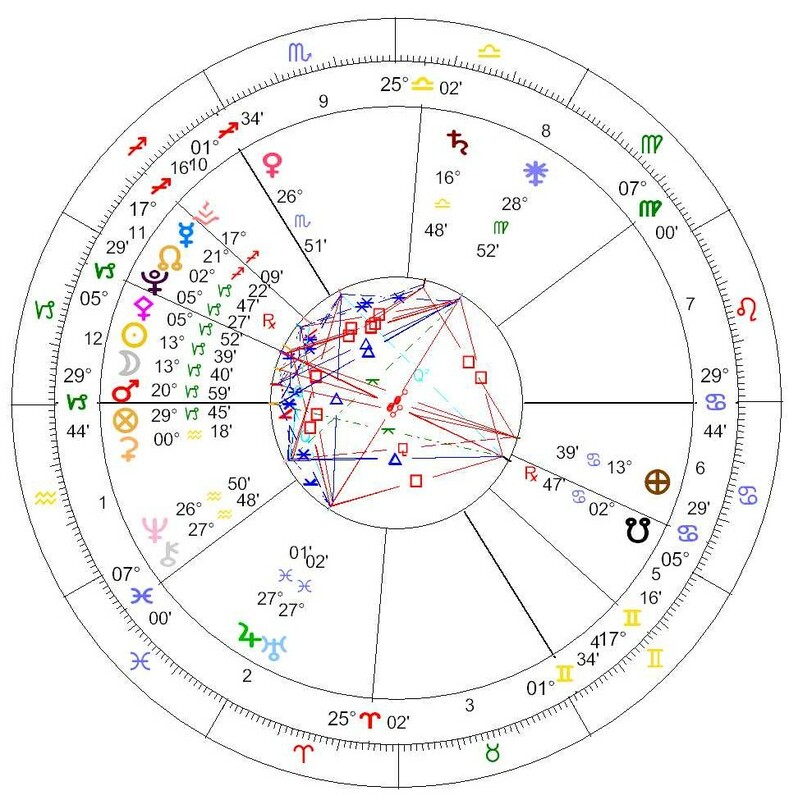 Looking at the chart for the Solar Eclipse you will see that the Sun and Moon are at 13 39 of Capricorn and they are in between the planets Mars and Pluto - this promises to bring about radical change in the way that we utilise our individual wills. Indeed with the Mars/Pluto midpoint link to the Eclipse we will need to bring our actions into an alignment with higher purpose. To clearly see that in uniting our efforts we assist each other and the whole, not only from a vibrational point of view but also practically. This energetic will also encourage a sense of purpose, focus and direction that will assist us all in utilising our own creative gifts and talents for the benefit of the whole. In a similar way to the Lunar Eclipse chart, at the time of the Winter Solstice, the theme of co-operation is highlighted as Jupiter and Uranus are making a trine, a 120 degree angle, to Venus and this encourages new ways of co-operating and sharing our resources with each other. Neptune conjunct Chiron in Aquarius echo this theme of co-operation - of how we need to work within a group consciousness - our need to move away from acting purely in self interest if we are to mature and to grow as a race. The Jupiter Uranus combination has the potential to creat chaotic situations - disruptions that appear to have no benefit and yet from a larger, higher perspective, all has an underlying purpose. Saturn at this moment in time is some 90 degrees away from both the Sun and the Moon which suggests that the changes that need to come can come in a balanced and harmonious way, that we need to practically work together. As it is 90 degrees from the Sun and the Moon there could be tension in allowing change to occur - the more we resist change the more difficult the process becomes - however, this chart suggests that it is more about integrating whatever occurs with as little disruption as possible - with Grace and Ease. It is about holding a steady path, not throwing the baby out with the bathwater, whilst also being open to embodying change and radically new experiences. Neptune conjunct Chiron in Aquarius echoes the theme of co-operation, individuals working as a group to assist the whole. At present Queensland Australia is a living example of coming together to assist each other during a time of crisis as the current floods have affected so many thousands. 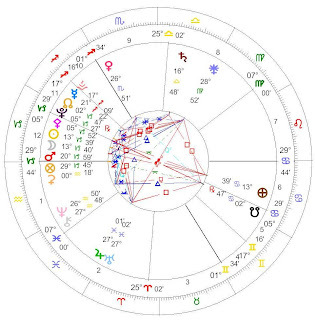 Is it by chance that in the astrological chart for when Queensland became an Independent State from NSW, in 1859, the planet Neptune, whose resonance is so linked with the Water Element, was at 27 degrees of Pisces which is where Jupiter and Uranus are right now making this final conjunction, or is there a larger pattern and design underpinning these floods which has still to flower? From a metaphysical level - it is about being deeply Earthed and balanced so that we may embody more Light in physical form - so let us all hold a steady path, whilst also being wide open to embodying change and radically new experiences. Just like the Light on the Peacock's feather we can Shine. The Peacock signifies new opportunity for spiritual growth and healing. The Peacock's gifts bring confidence, stature and accomplishment to the dreamer. 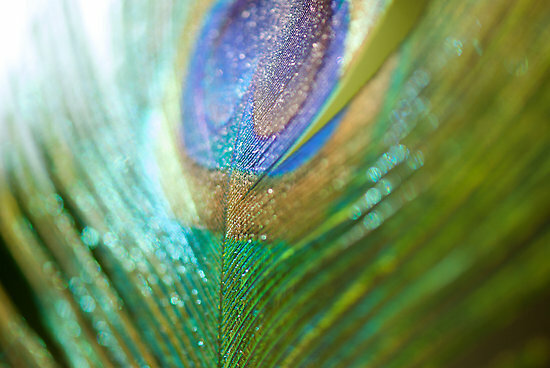 Peacock's feathers are ringed with eyes that contain the medicine of foresight and clairvoyance. The lesson the Peacock teaches us is to watch our pride and beware of the ego. Thus, Peacock medicine encourages our ability to be truly noble, yet humble. As we journey through 2011 may we all walk with these gifts and awareness.